The file myShotgun.zip contains the .obj and .dae files and images. The other .zip is for adding to an existing Torque3D project. 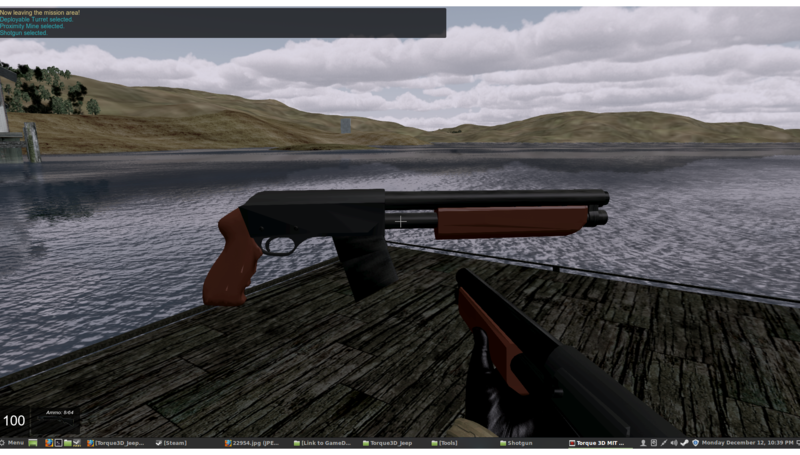 I use it in Uebergame as kind of a placeholder for the shotgun mode. Your texture maps were totally broken, so I removed them and just used material colors, the mesh is not the best as well, but overall it works and looks pretty decent ingame.